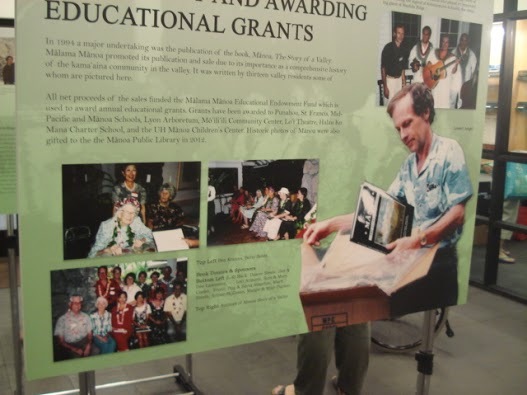 On November 13, 2012 we invited our membership and community to an unveiling of the archival photos, mounted and framed, at the new Manoa library. Malama Manoa awarded the library a grant to purchase, frame and mount these photos and it was a worthy project with an outstanding result. The photos were impressive and will be enjoyed for years to come. We also had a display of large photos showcasing the last 20 years of volunteerism in the valley. Our 20th Anniversary chairpersons Helen Nakano and Sarah Hudgins worked very hard along with aide, Brady Evans to put this display together and it was later used at the Anniversary Gala night. The unveiling was followed by a short annual meeting, a talk by our president Pat Chung, then the screening of the film HOMEGROWN REVOLUTION. Befitting the food sustainability theme of the evening, the film was inspiring. 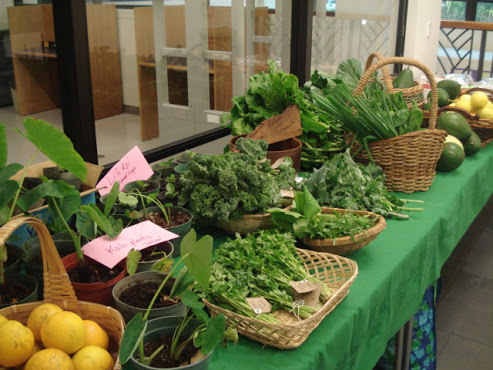 We also showed a slideshow of home gardens and examples of homesteading in Manoa Valley. This was followed by our speaker, Kathy Maddux of Mohala Farms. Kathy gave us insight into the challenges of running an organic farm and the worthwhile endeavor it is to aid in the struggle for food sustainability. 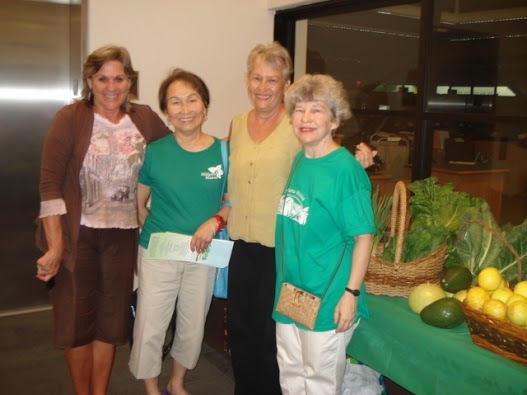 When the program was over we invited our guests to help themselves to the bounty of Manoa. Our board members and friends brought fruits and vegetables to share with our Malama family. See the pictures to appreciate the generous contributions to our evening of “sustainable living”.